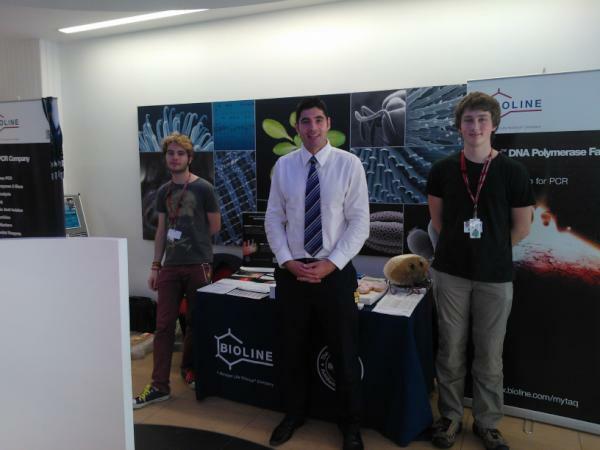 At Bioline we're proud to offer support to undergraduate student teams participating in the annual International Genetically Engineered Machine (iGEM) competition, an interdisciplinary project designed to advance the new and exciting research field of as synthetic biology (or ‘synbio’ for short) which combines life sciences and engineering. There is a huge potential for synthetic biology to revolutionize our lives and already it is transforming the way in which living organisms and systems are designed to create new enzymes, fuels, food and medicines of the future. Many of our high-performance reagents for molecular biology are already used by researchers in their experiments, enabling them operate at the cutting edge of the emerging and rapidly developing 'SynBio' field. 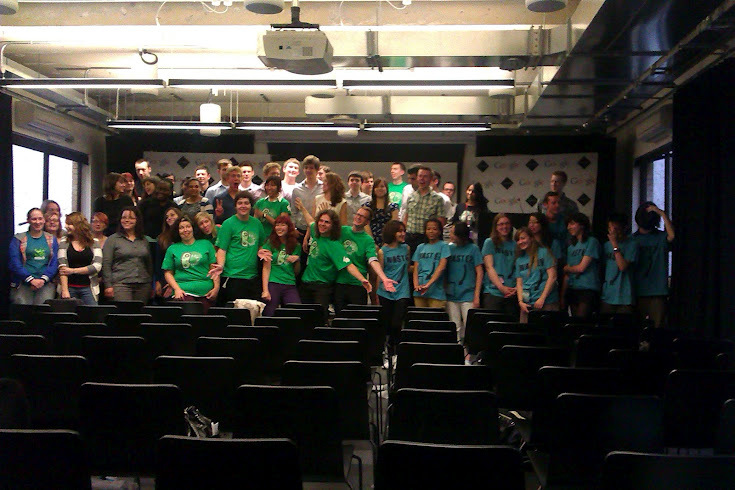 The iGEM2012 competition featured almost 200 teams from around the world. Two UK-based teams in Norwich and Cambridge were supported by Bioline and both teams went on to win gold medals in the European finals held in Amsterdam last October. The Cambridge team, one of three European finalists, was awarded "best experimental approach" and made it through to the world championships held at the Massachusetts Institute of Technology. Home to some 2,700 scientists, NRP is one of Europe’s largest single-site concentrations of researchers in Environmental and Biological Sciences. This was the second iGEM team from Norwich to participate in the competition, and were mentored by Dr Richard Kelwick. Team NRP UEA set out to develop a new system of innovative bacteria to help solve problems throughout the world. They focussed on the role of nitric oxide (NO) and aimed to produce a biological system that can sense nitric oxide levels within an environment. Once completed, the biological system could have potential uses in many areas, including developments for future cancer therapies and for detection of NO levels in the environment; such as soil. The University of Cambridge has a strong history in the iGEM competition, having entered annually since 2005, and is advised by the Haseloff, Ajioka and Micklem labs. 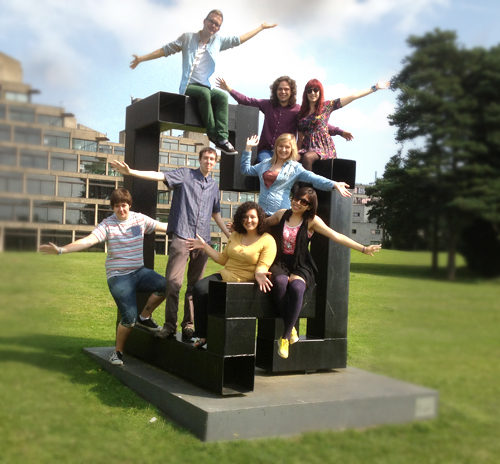 The Cambridge iGEM team set out to create new standards for characterisation, validation and application of biosensors. The protocols were modular in design, allowing any biosensor built to this standard to be measured with low-cost prototype instrumentation. Existing and novel biosensors were designed to be adapted to use light as an output to facilitate an interface with microcontroller electronics. With support from the Badge lab at the Genetics Department, the Leicester iGEM team set out to solve an important environmental problem - namely to reduce the waste going to landfill by engineering a bacterium to degrade polystyrene. Some bacteria form biofilms on polystyrene, indicating that polystyrene may be degraded. Identification of the degradation genes/pathway(s) responsible, could be coupled to synthesis of useful products in the future e.g. biofoam. Congratulations and good luck for iGEM2013! We were extremely impressed by the tremendous efforts of all iGEM teams in getting so far in the regional and world finals. We (vicariously!) enjoyed the buzz of the competition via the tweets and blog updates issued by the teams. To show our commitment to helping develop the bio-scientists of the future, we have expanded our support to all iGEM teams in the United Kingdom by offering up to 50% off our already highly-competitive list prices. And, of course, all Bioline products are backed by our friendly and helpful UK based technical support staff, should you need it! To request full details of our Gem of an iGEM offer pricing plan, please contact your local Bioline account manager using our rep finder tool. Then, why not let your fellow iGem researchers know too by clicking the lovely button below. We wish all iGEM2013 entrants every success in this year's competition!